I wanted to share a lesson I learned from my blogging experiences of 2012: Your time is valuable, so spend it on what you’re passionate about sharing. It’s difficult to remember this when there is so much pressure from others to host a giveaway, share a deal, write a sponsored post, and promote an affiliate. I’m not the only blogger who is learning this lesson and sharing it. Bobbie Byrd wrote “Your Worth As a Blogger” to share her story of how she fell into the trap of not valuing her time in order to promote a big brand. She says “You are letting these companies walk all over you. They get their name out to all your community, your Facebook fans and your twitter fans and you get a free product that you don’t even use or a gift card that doesn’t compensate for your time.” And then we have to ask: What do our readers get out if it? As bloggers we tend to be over-connected with a network of people who are trying to get their content shared more. We can never share everything we hear about, so we must be selective and pick our favorite content. And of course we are always being bribed with free products or gift cards to share that content (which hopefully you are always disclosing to your readers). That’s why I want you to really own your content and not let others pressure you into sharing their content unless you really feel it has value to your readership. Remember that you own your blog, and you control your content. Your time is valuable, so spend it on investing in yourself instead of others. I’d love to hear your thoughts on this topic, so please leave a comment to share. Which lessons from 2011 are you taking into 2012? I only read bloggs, not interested in starting one, but I thank you for your time on here. I read it almost every day! Thank you. Just google free blog templates (I used http://www.blogger.com/) There is no fee and the setup is pretty easy to figure out. I’m sure there are much better applications and better templates but for a beginner, I think there are enough options to get you started. Go visit BloggingWithAmy.com to learn how to get started. Blogger is a little more user-friendly than Wordpress. But if you plan on monetizing your blog someday I would start out in Wordpress. I see and read alot of stressed out bloggers. It’s funny that in the rush to be up and at it with everyone they forget why blogging is supposed to be fun and outlet, even if it’s about learning to make money. I am a blogger (Nutrimom – Food Allergy Liason http://allergyphoods.blogspot.com) and yes, I would love to make more money but I do, truly do it simply because I feel this is what I am supposed to be doing. I am here to help people, get information out to those who need it and I don’t mind hwn companies send me items to try out. I look at it as a perk. It doesn’t cost me anything and most of the time, they are products that our family does or can use anyway. But I do agree- blog because you want to, not because you feel you must.As with anyting in life, if you don’t like doing it, then figure out what you should be doing and do it! In the same vein, I would say trust your own instincts. Don’t conform to a company’s expectations unless the company feels like the right fit for you and your readership. When I read the blog you posted, I thought of someone who always buys cars on his own terms. He said that’s because he’s always willing to walk away from a deal. Maybe the same tip could be applied to bloggers. Amen! I love posting recipes and funny stories about my kids and family. These posts absolutely make no money. But who cares! It is what I personally like to read and write! This is absolutely true. Every blogger has to decide what their time is worth and then be unwilling to compromise on that. 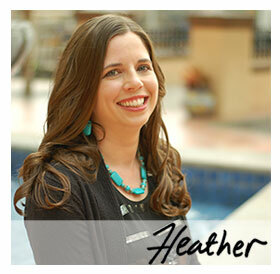 Even bloggers like myself, who will never run a site as large as yours Heather, need to prioritize their blogging priorities in light of the rest of their life.